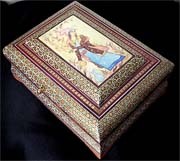 These decorative boxes can be used for many purposes. 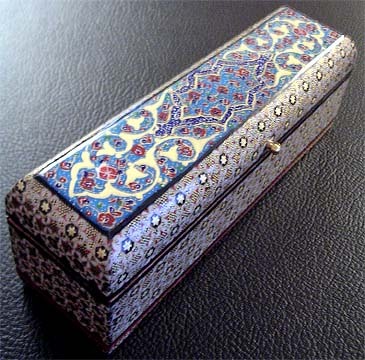 The lined ones are popular for storing jewelry, and the oblong ones are ideal for watches and necklaces. 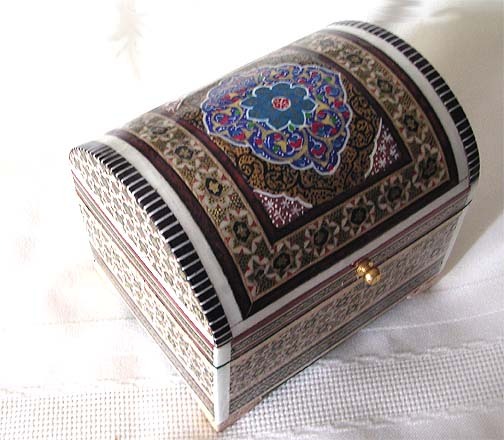 They are great for any keepsakes or valuables that you want to keep handy, but out of sight. 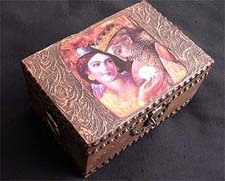 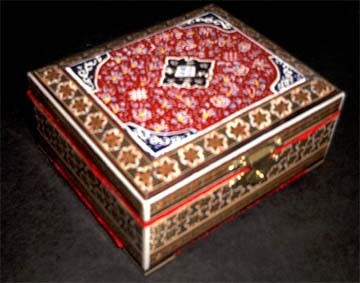 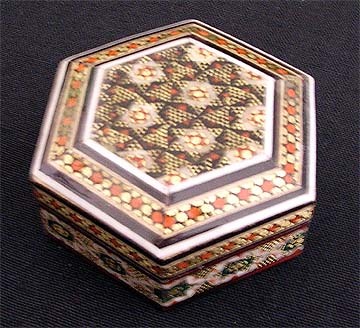 Many feature the classic Persian khatam inlay designs, while others are made from wood or papier mache. 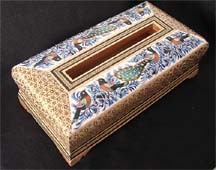 Be sure to check out our line of oblong and pencil boxes (which also have multiple uses) too.